Custom caricature logos of you! My custom caricature logos will show off your best asset – YOU! 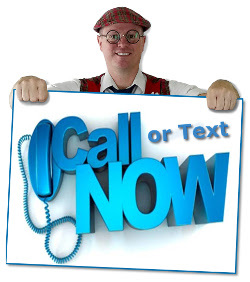 You are the face of your business and the first thing your customers should see is YOUR SMILING FACE! Caricature logos are guaranteed to catch the eye of clients and get you noticed. They scream “ENTERTAINMENT” before your customers even reads a word. It doesn’t matter what you do: Balloon twisting, magic, clowning… These fun, colorful works of art will grab any customers attention and pull them in. Letting them know instantly that they are going to have serious fun if they hire you! 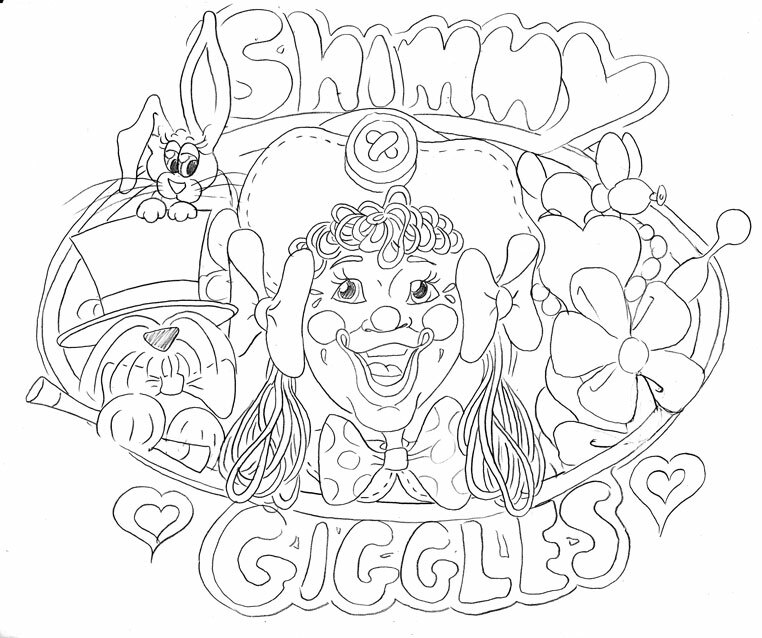 I offer both Colorful Caricature Logos and/or Coloring Pages. 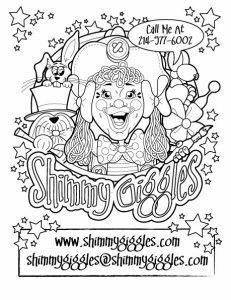 With the purchase of a full-color caricature logo you will receive a black-and-white logo, a full-color logo and a FREE coloring sheet made from the new logo design. before your customers even reads a word. The entire process typically takes about 1 week when it is started. Once you and I have talked about what you are looking for in a logo I will have you email me some photos of you in character. Along with any other specific details I may need to have reference for when drawing your logo. Step 1: The Initial Sketch: This is a rough pencil sketch showing you basic placement and layout. It will have all the elements in the logo that your final logo should have. We will adjust the sketch as needed until you like the design and give me the approval to start the black-and-white logo. Step 2: The Black-and-White Design: I will redraw your logo design in Adobe Illustrator. This creates a professional looking, clean logo. At this point it is still just a line drawing. Once I have completed the digital drawing I will send you a proof for approval. We can still make minor adjustments at this time. 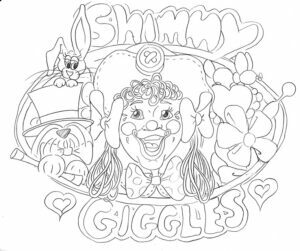 Once the black-and-white logo is approved I will add in the color and create your coloring page design. Step 3: Final Color Logo Design: As soon as the black-and-white is approved I begin laying in the color. This really makes the logo pop and brings it to life. I send you one last proof of the final color logo when I am done. You are welcome to adjust colors as you like and make suggestions. Once you give me a thumbs up on the final logo design we are done. Digitally drawn, professional, clean, 8.5″x11″ and ready for copying. Digitally drawn, professional, clean and ready for use on both internet and print designs. 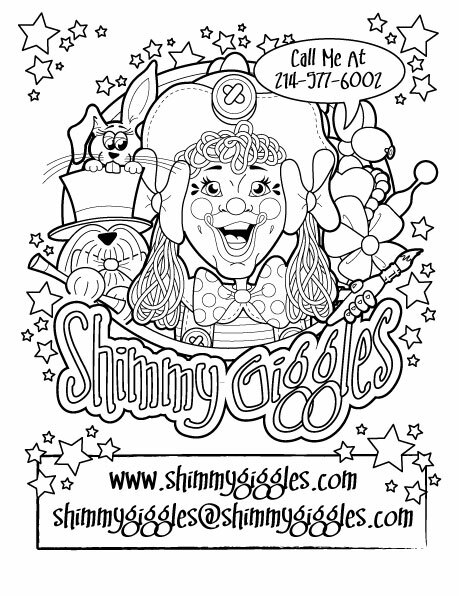 Each logo purchase comes with a black-and-white logo, a coloring page, and a full-color logo. 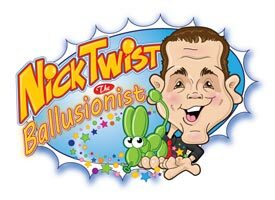 ** Standard design includes 1 face and body with 2 add-ins (puppet, balloon animal, magic wand, paint brush, etc…). Additional add-ins to the logo will incur and up charge of $20 each.